This is an adorable card to welcome a new little one into the world. 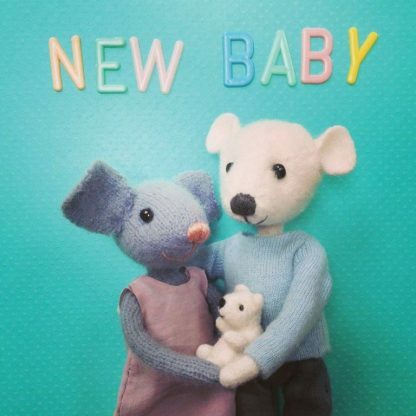 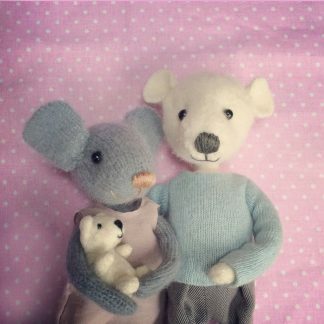 It features a smartly dressed bear and mouse holding a small bear on a blue background with the words ‘NEW BABY’. It is left blank inside for your own message. 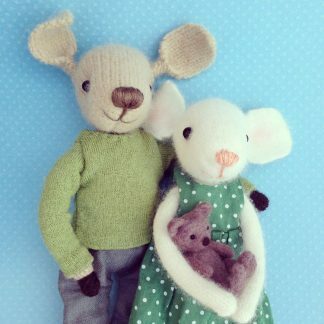 Pippi & Me cards are printed in the UK on FSC board with recycled envelopes. 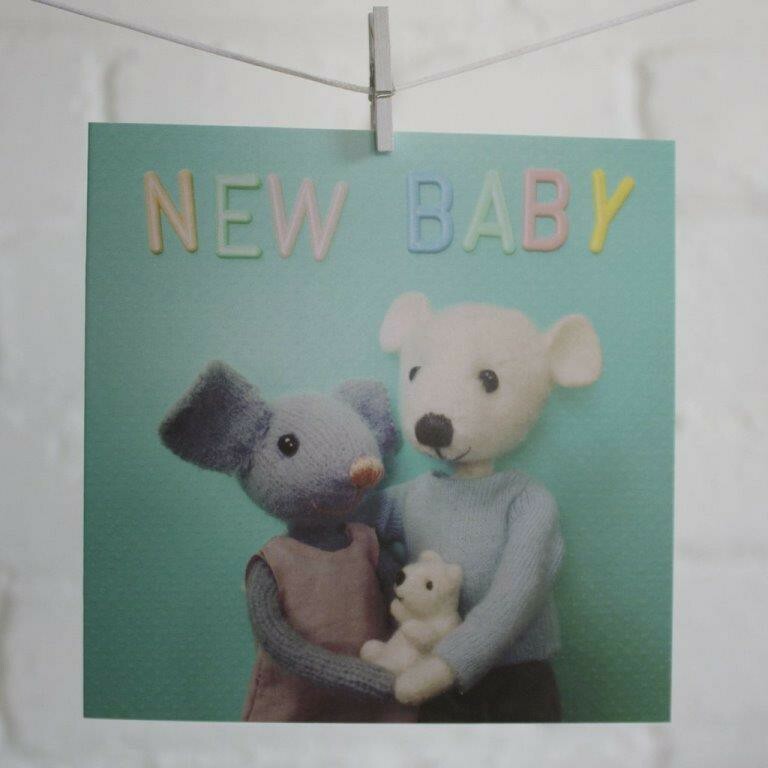 Cards are approx 125 mm x 125 mm and individually wrapped.